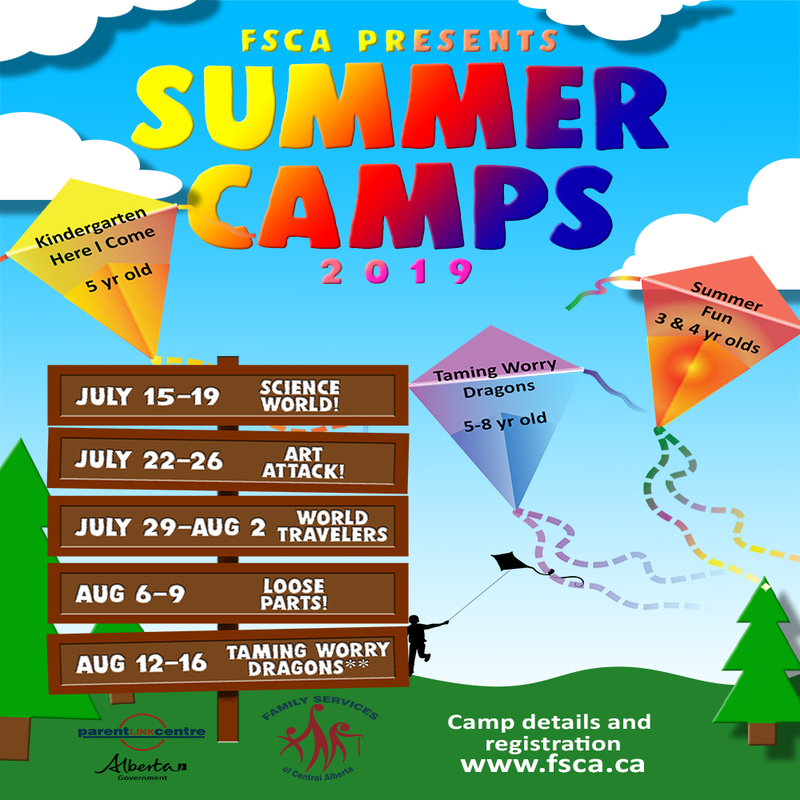 FSCA offers morning camps for kids ages 3/4 and afternoon camps for kids starting Kindergarten in the fall. Each week brings a new theme with literacy and numeracy, science and music activities. Week 2 – July 22-26 Art Attack! Week 4 – Aug 6-9 Loose Parts! 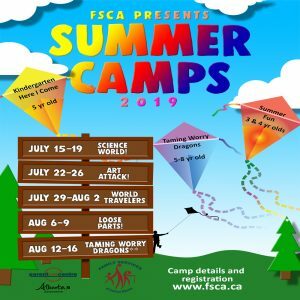 We also offer Taming Worry Dragons camp for kids ages 5-8, this camp is to help support their feelings of fear, anxiety and worry in a supportive environment. Registration is now open for all camps.